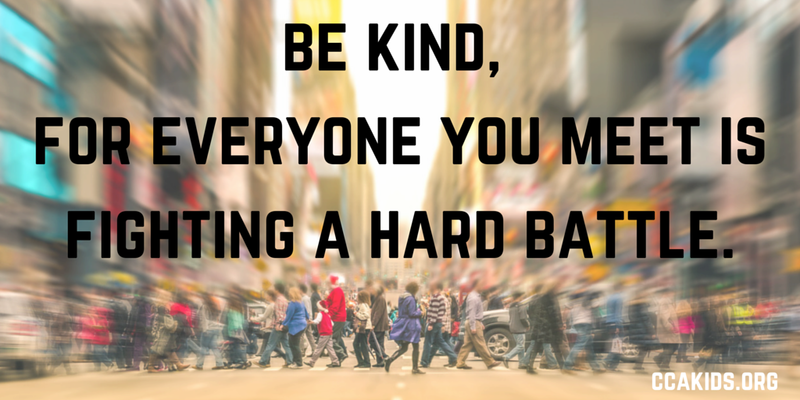 This week, we're examining how we can prevent bullying and make the world a kinder place. Today on the blog we are featuring a TED Talk released this spring, when Monica Lewinsky reentered the public sphere with a new campaign #ClickwithCompassion. Her story, now infamous, is also a powerful examination of the culture we've created. Her critique of the "Price of Shame" is a way to reframe the conversation on shame, differences, bullying, and kindness. Her advice is to consume media responsibly and #ClickwithCompassion - your choices are your voice and your voice can overwhelm the bullies. 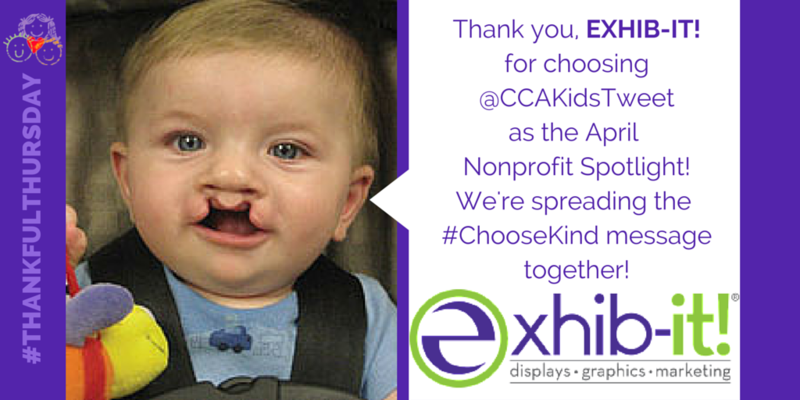 One of CCA's main programs is to promote the #ChooseKind message in schools across the US. CCA families, teachers, guidance counselors, and school districts are bringing #ChooseKind Wonder Kits into their classrooms to help all students develop empathy for one another, accept each other's differences, and create healthy friendships. RJ Palacio's best-selling novel Wonder is an excellent tool for starting the conversation in your school or club. In addition to CCA's #ChooseKind Wonder Kits, CCA maintains a list of other resources for educators and parents to utilize. CCA also participates in the larger, national conversation about bullying prevention in schools and online. One method to make schools a safer, kinder place for students is teaching Social & Emotional Learning in the classroom using a variety of resources. 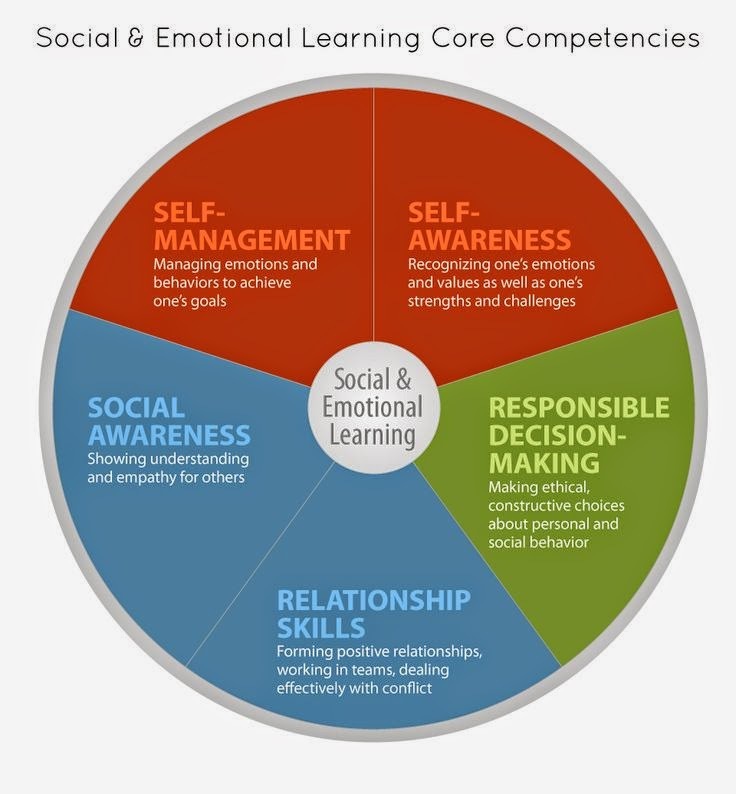 Social and emotional learning (SEL) is the process through which children and adults acquire and effectively apply the knowledge, attitudes and skills necessary to understand and manage emotions, set and achieve positive goals, feel and show empathy for others, establish and maintain positive relationships, and make responsible decisions. SEL programming is based on the understanding that the best learning emerges in the context of supportive relationships that make learning challenging, engaging and meaningful. Social and emotional skills are critical to being a good student, citizen and worker; and many risky behaviors (e.g., drug use, violence, bullying and dropping out) can be prevented or reduced when multiyear, integrated efforts are used to develop students' social and emotional skills. This is best done through effective classroom instruction; student engagement in positive activities in and out of the classroom; and broad parent and community involvement in program planning, implementation and evaluation. To learn more about SEL, watch this video from Chicago Public Schools on their successful implementation of SEL and how tools like CCA's #ChooseKind Wonder Kits can reduce bullying in schools by modeling empathy and kindness to students. 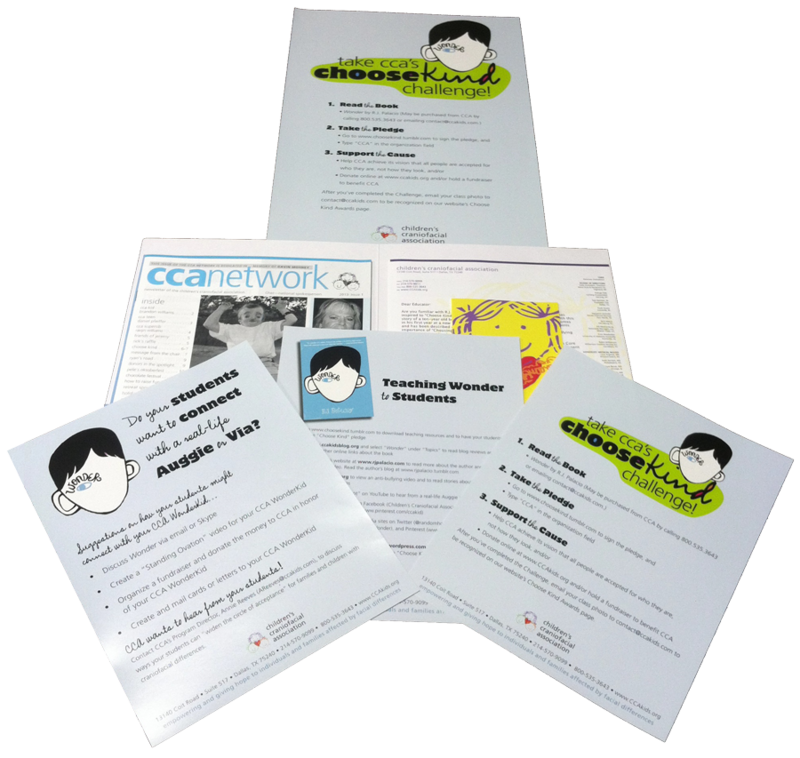 CCA strongly believes that our #ChooseKind Wonder kits are an excellent example of SEL and we are seeking to sponsor more classrooms with these kits. Why is Wonder so powerful? Well, as one Marcus Garvey Elementary School teacher said, "It's a lot of stories about feelings." And CCA believes that Wonder poignantly illustrates the feelings of living with a craniofacial difference. If you would like to help bring Wonder to your school, please visit CCA's Bring Wonder to Your School webpage and contact the office. Let's help students across the nation not only #ChooseKind, but also develop lifelong skills to lead fulfilling lives. CCA wants to make the world a kinder place. One way we accomplish that mission is to prevent and end bullying, in schools and online. Unfortunately, many of our CCA Alums & Adults are familiar with bullying tactics and have been bullied by classmates, peers, and even adults. Today's post is a personal account of how CCA Adult Frederick Seitz handled a bullying situation. 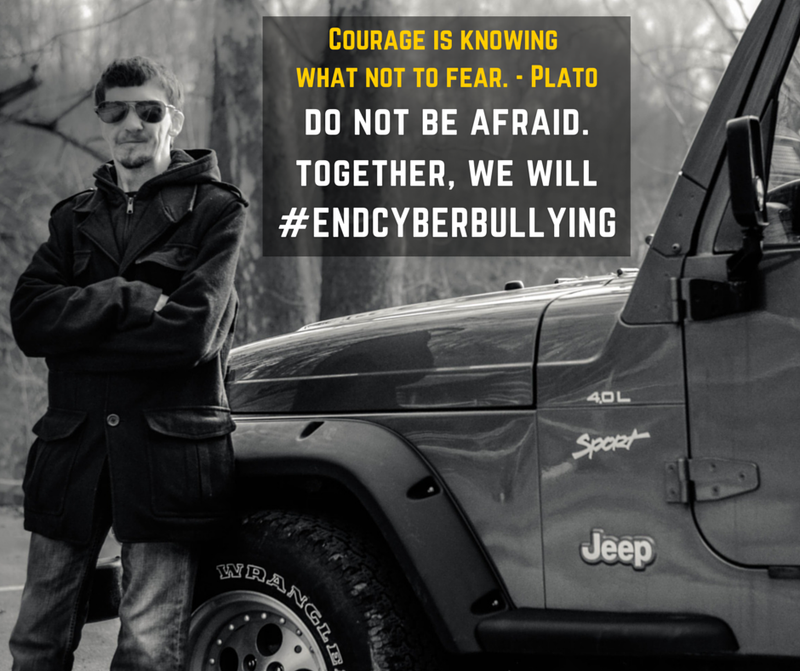 Stay tuned this week for informative, inspiring posts about living life beyond bullying. Together, we'll #EndCyberBullying through education, empathy, assertiveness, kindness, and courage. Little over four years ago, in the September of 2010, I bought my first car -- a 1999 Jeep Wrangler Sport. I saved up a lot of money from my birthdays, holidays, and special occasions over pretty much all my life up to that time. I was in my senior year of high school at the time. I was thrilled to show it off to my friends, classmates, and family. Little did I realize that only a week later, I would become a victim of cyber bullying on Facebook. A female classmate wrote a Facebook post that didn't mention me by name directly but described attributes that people knew were only related to one person: ME. I don't remember her exact words but the post mocked my disabilities including my craniofacial difference, my deafness, and even my religious beliefs. 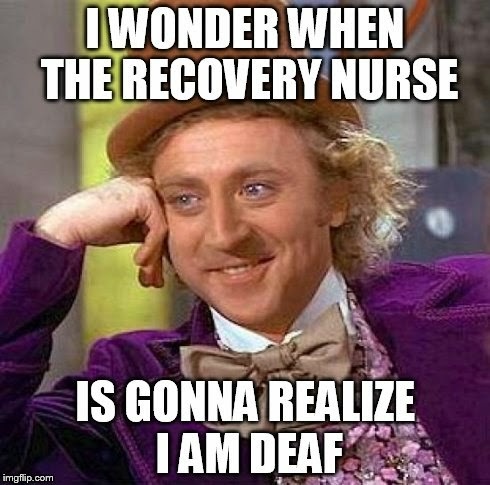 It was clear to me that she was extremely ignorant of my true abilities and of the fact that deaf people can really do anything EXCEPT physically hear sounds. She mocked my ability to drive and went far to question why I even have a driver’s license. Unfortunately for her and lucky for me, her post backfired completely on her. Soon, dozens of comments from my classmates posted, all rallying behind me as they called her out for cyberbullying me. I remember reading the comments and I was surprised at how many people were defending me. That time was one of the times I learned who my real friends and allies were. The next morning after I learned of this harassing post, I brought a printed-out hardcopy of it to the principal’s office. It wasn't long before the word went around most of my other classmates about this disturbing incident. Shortly after this, I confronted this female classmate face-to-face and told her that I knew what she wrote about me. What happened next proved what I suspected to be true: she claimed that she thought my deafness and my craniofacial difference would impair my ability to drive. Honestly, her excuses enraged me. How could she - how could anyone - believe this about me? However, I used this event as an opportunity to set the record straight in front of my peers and to understand what motivated her actions. I was proud of my ability to save money from hard work and a generous family, which I am fortunate to have, and I was insulted that she would publicly belittle me and assail my abilities, when I am clearly thriving in this world. Whatever motivated her actions: envy, insecurity, or anger, I knew that her issues did not have to become mine. Responding to cyberbullying takes courage and empathy, assertiveness and ruthlessness. Do not show them that you're afraid, ever. That's how bullies control you: fear. But beyond your fear, realize that two common reasons people bully are out of ignorance and for control. You can correct the ignorance through empathy and education and you can remain in control of the situation by choosing to be courageous and assertive. Rely on the people who come to your defense, too, for they are your true friends and allies. Remember that. One way we accomplish that mission is to prevent and end bullying, teasing, and hurtful remarks, in social spaces and online. Unfortunately, many of our CCA Alums & Adults are familiar with bullying tactics and have been targeted by classmates, peers, and even adults. To help fight back against bullying, CCA is running a series of personal posts about how our Alums & Adults have handled bullying and teasing situations. Plus, we'll be posting resources from experts about how to promote safe and supportive relationships. Stay tuned this week for informative, inspiring posts about changing the way we react to others' comments - bullying, teasing, and even "harmless" remarks. Some folks just have to comment on your looks every time they see you. Maybe it's your face. Or your outfit. Or your smile. Or even your shoes. Regardless of what has piqued their interest, you know they are looking because they're commenting. And while it is nice to receive a compliment, sometimes even well-meaning remarks bring up anxiety to those of us who already feel like a person on display. Blogger Meg has experienced her share of frustrating comments, too, specifically about her weight. It can be exhausting to constantly answer others' questions, so keep Meg's tips in mind next time you - or your grandma - want to make a comment about another person's appearance. 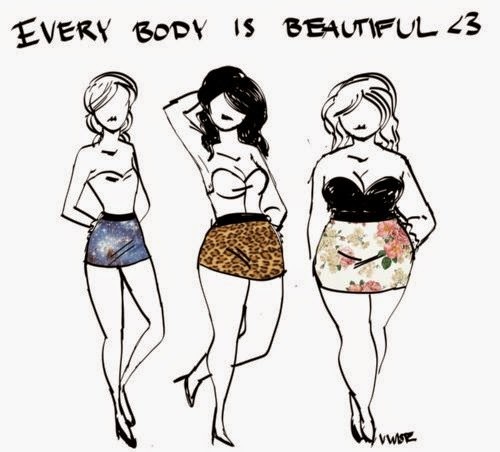 Whether you're curvy or angular, chubby or skinny, dark or light, tall or short... we're all people inhabiting the body we were born with. And we all want to be accepted for who we are, not what we look like. 1. "You probably can eat anything you want and not gain a pound!" No, I can't actually! I have Gastro-Esophageal Reflux Disease (GERD). Any food high in fat or with milk upsets my stomach and sometimes triggers heartburn. I don't have fast food very often; it's a treat when I do. 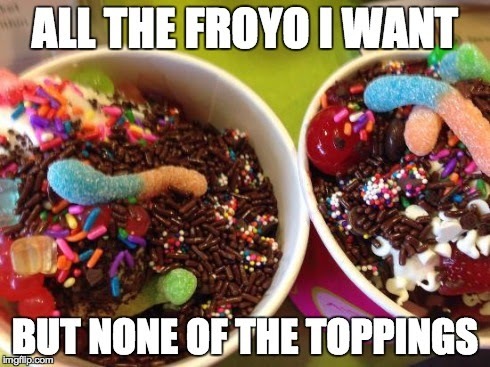 I love my frozen yogurt sometimes. 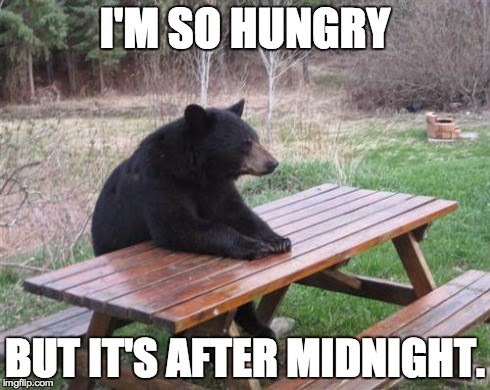 And because of GERD, I must eat early, hours before bedtime. 2. "You look like you are ten!" Let's be honest: I do not look like I'm ten. This statement is too quick of a reaction and you should have thought before you spoke. In my early twenties, this is the "compliment" I get mostly, but even though we universally accept that everyone wants to look younger, no one wants to be infantilized. I'm a woman, not a child. 3. "How much do you weigh? You must be only X pounds!" This is not the Fair and I didn't just give you three chances to win a prize. You wouldn’t ask an overweight person how much they weigh, so you certainly don’t ask someone who’s underweight. What a silly question! I wouldn't be here if I didn't! The truth is, I love to eat. I thoroughly enjoy discovering new recipes on apps, dark chocolate, and eating David's heart healthy dinners! Eating is something I enjoy, but I have to mind my restrictions for my health. This statement assumes so much about me that is really unfair. I have been small all my life, so barring any physical changes to my body's chemistry, I'll be staying this way. For many underweight people, it is just as hard to gain weight as it is for an overweight person to lose weight. 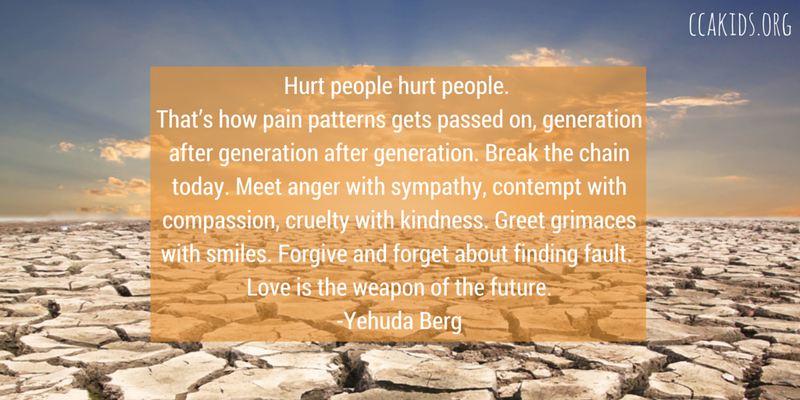 In the end, making the world a kinder place is about shifting our communication patterns from commenting on people's looks to connecting with their spirit. There are many ways to start a conversation or compliment someone. Hi, Ginny! It is so great to see you! I have missed you, Maggie! Where should we get lunch? Corbin, thanks for making it to the meeting! 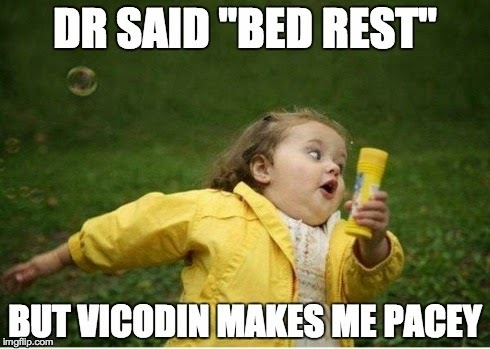 We're glad you're on our team. 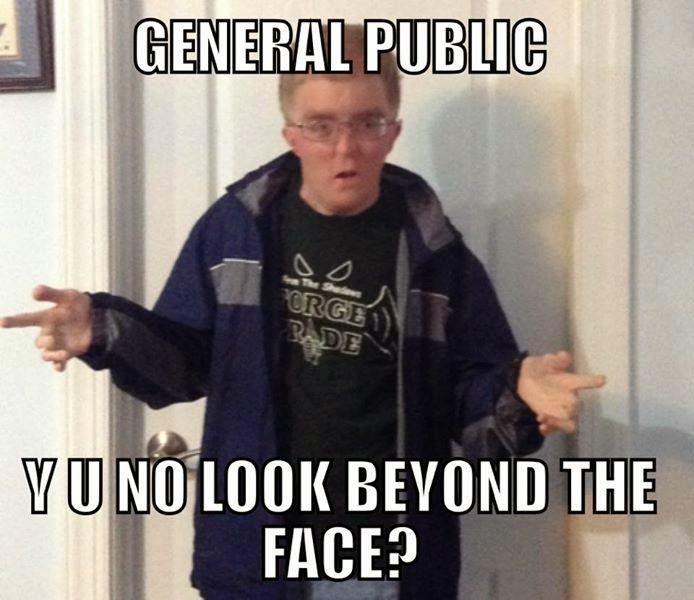 You're such an inspiration, Jake! When did you starting running 5Ks? Kelly, I have been eating way too much red meat lately. Do you know any good fish recipes you'd like to share? Can you think of more? Share them in the comments! Tomorrow, April 24, one of our first family fundraisers of the year kicks off: The All the Way for CCA Golf Tournament, at the Battleground Golf Course in Deer Park, Texas. 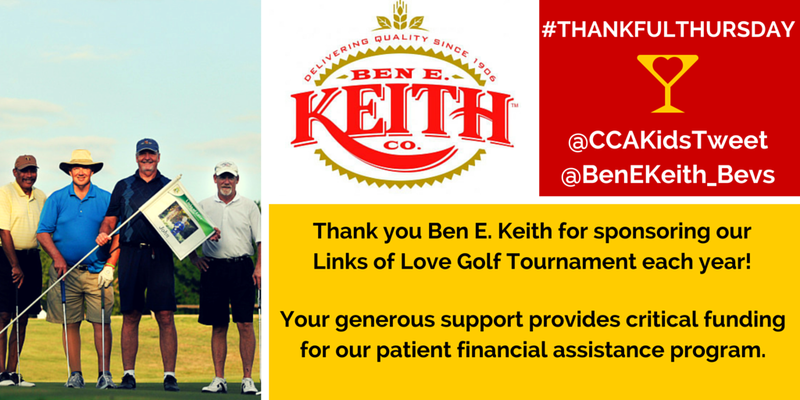 We know it takes a lot of work to put on a great golf tournament, so we thank you in advance to the golf club staff, volunteers, golfers, donors, sponsors, and friends! Your actions inspire kindness in your community and the funds you raise change children's lives! 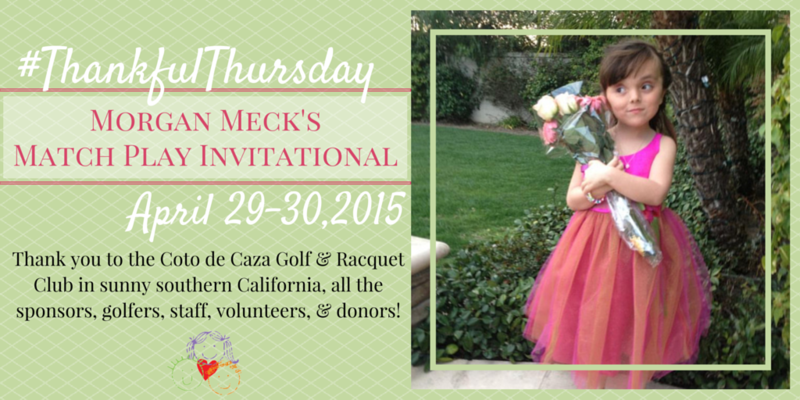 If you'd like to host a family fundraiser for CCA, contact the office. All families who raise $5000 or more for CCA are eligible for a hotel scholarship to the 2016 CCA Family Retreat & Educational Symposium. 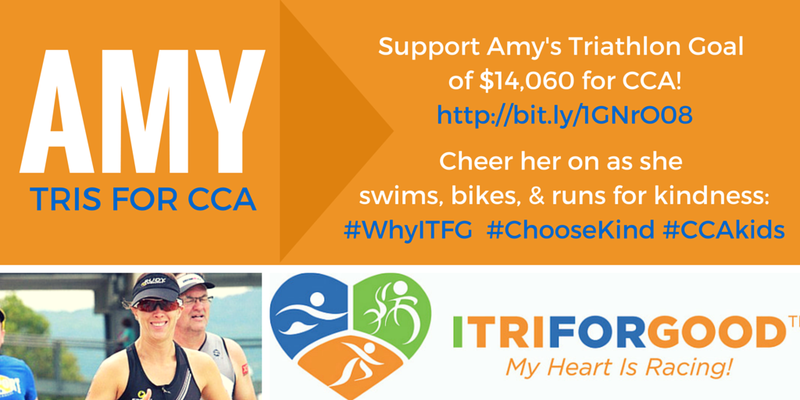 Children's Craniofacial Association is thankful for Katie & Kyle Caniglia and the awesome fundraising opportunity they created through ITRIFORGOOD.ORG, an online fundraising tool that delivers 100% of funds raised by athletes to their charities of choice! ITRIFORGOOD's mission is "to make any endurance event a fundraising opportunity for your favorite non-profit organization." Wow ... what a cool mission! 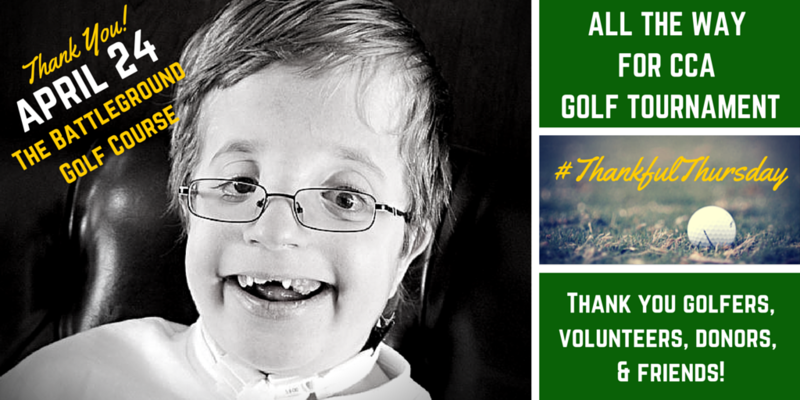 We love what ITRIFORGOOD is doing and all of the passionate athletes raising money for good causes! The next athlete competing for CCA is Amy Stone... check out her page and stay tuned for an interview with Amy coming soon on our blog! 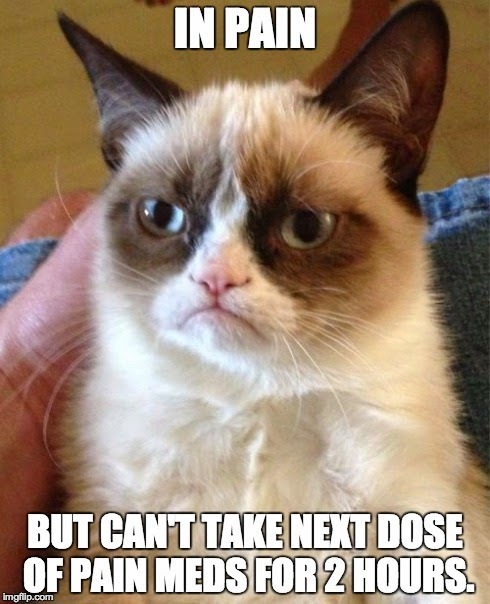 Today we wrap up our #surgeryproblems series on the blog. Our Friday feature is a repost from Seattle Children's about PACT (Partners in African Cleft Training), their cleft surgery training program in Africa. 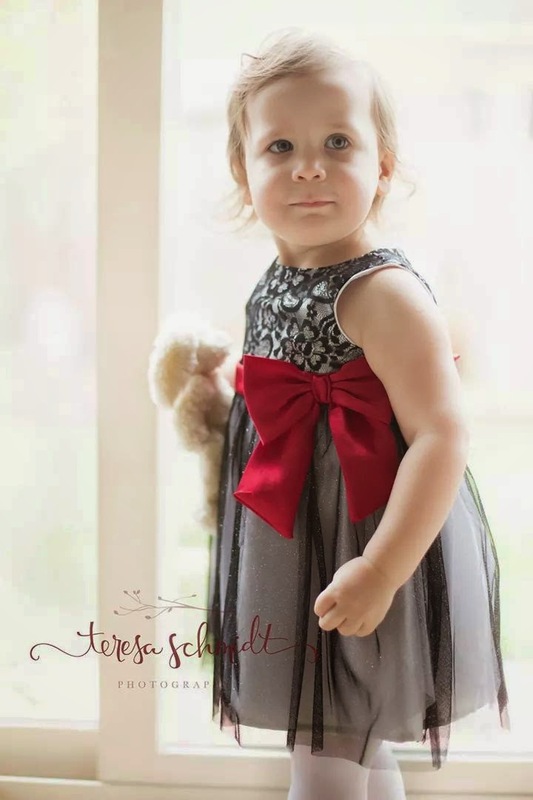 We thought this post was a great way to close out our week on surgery because not only is this an amazing, world-changing program, but it's also a reminder that as scary and difficult as surgery can be, it's also an amazing opportunity for our children to be able to receive quality medical care and move forward after a craniofacial diagnosis. 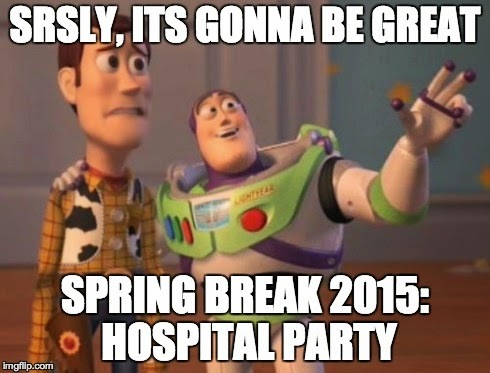 The first thing Dr. Michael Cunningham noticed was the crowding. Hundreds of African mothers and their young children, pressed shoulder to shoulder in a time-worn hospital’s hallway, waiting patiently for hours — if not days — to receive cleft lip and palate care for their child. It was then when he fully understood the importance of his goals in Africa and how much work lay ahead. Cunningham, who is medical director of Seattle Children’s Craniofacial Center, and the Center’s surgical director Dr. Richard Hopper, had traveled to Africa as part of a specialized cleft training program they co-founded in 2007 now called Partners in African Cleft Training (PACT). Unlike mission-based medical programs that focus on treating as many cases as possible in short, fixed periods of time before returning home, Cunningham and Hopper sought to create a sustainable environment in which African health professionals became completely self-sufficient in treating cleft cases. 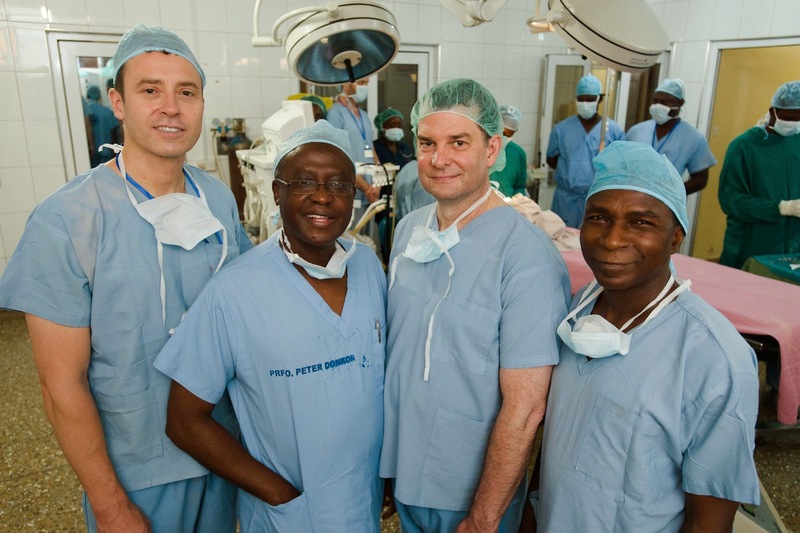 Dr. Richard Hopper (left) and Dr. Michael Cunningham (third in from the left) with surgeons in Africa during a PACT Program visit. The two men and their team have spent eight years developing unique programs that are designed to equip African health professionals in Ghana, Ethiopia and Nigeria with surgical techniques, nurse anesthetist training, speech language therapy and feeding techniques. Hopper said that while mission-based programs are of great value, working alongside and training African surgeons has proven successful thus far in terms of creating a lasting impact. To treat five children per day for one week is one thing, Hopper says. To treat five children per day for one week — while simultaneously training four African physicians who can use and pass that information on to their colleagues — that’s how real progress can continue long after he and Cunningham return to Seattle. 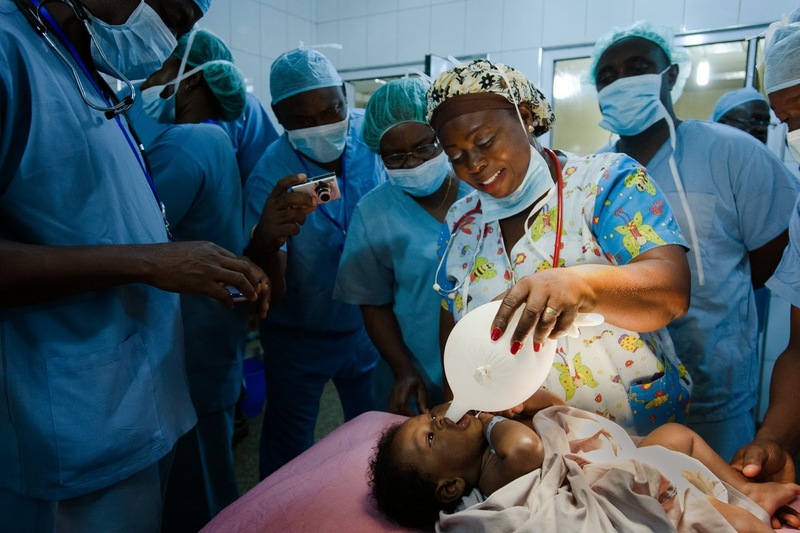 A nurse created an improvised pacifier from a sterile glove to soothe a baby awaiting surgery for a cleft lip at the Komfo Anokye Teaching Hospital (KATH) in Kumasi, Ghana, during a PACT Program visit. Hopper said that a big part of developing a successful program was being able to understand problems on a regional level. You can’t come to a solution, he said, unless you understand the environment and the challenges people have faced already. Part of this was their decision to leave the state-of-the-art tools they have available to them at Seattle Children’s and instead face the same challenges as surgeons in Africa. There needles and sutures are bigger and operations are often lit with nothing more than a 60-watt lightbulb rather than a bright, brand new surgical lamp. Hopper said that through this experience, he learned new surgical skills as well. Upon their return to Seattle, Hopper said he re-examined his existing surgical toolkit and realized that, much like his African surgical counterparts, who only had four or five tools at their disposal, he seldom used more than that himself. 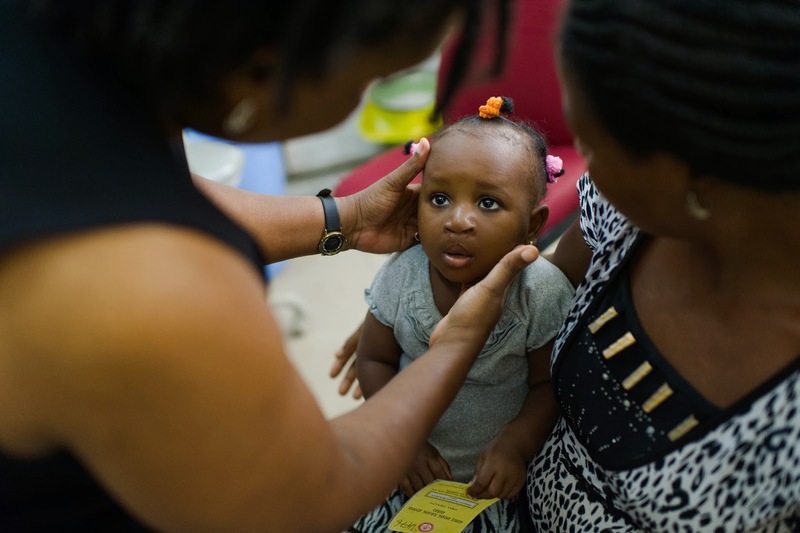 A patient is examined during a check-up at the Cleft Clinic at Komfo Anokye Teaching Hospital (KATH) in Kumasi, Ghana. 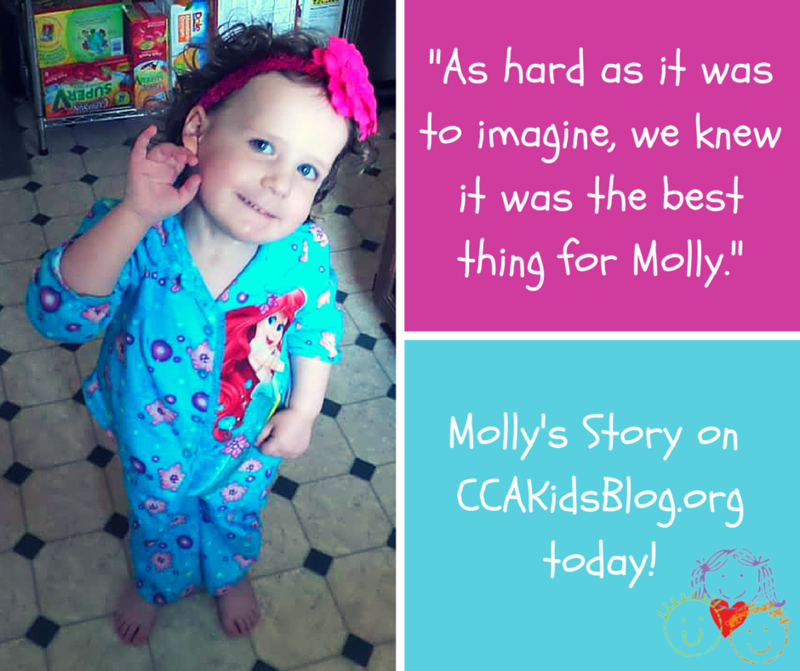 Thanks Seattle Children's for sharing this story with us! 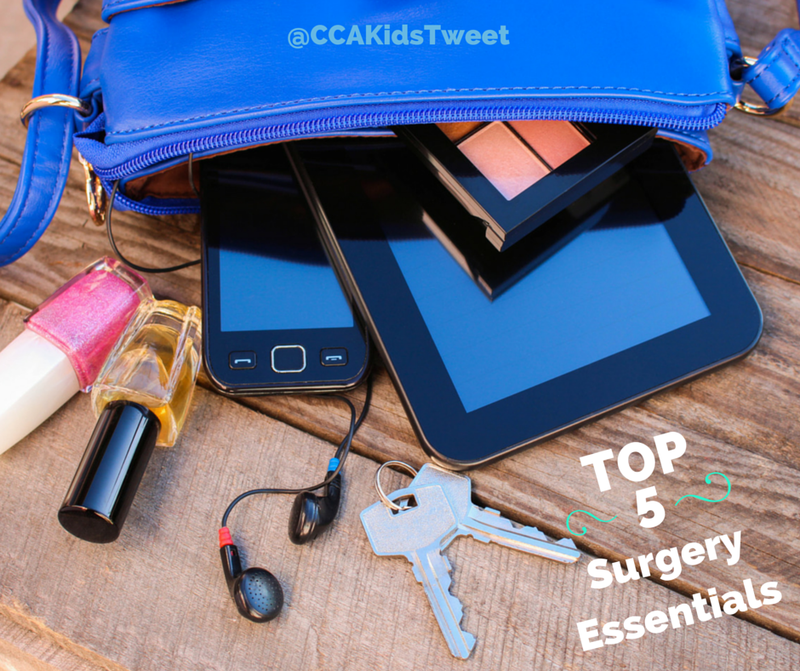 This week, we're featuring stories about surgery on the blog ... with a twist! Check back each day for a new post. 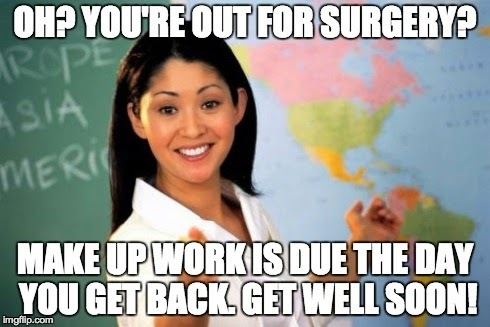 created some funny #surgeryproblems memes to share. Tweet with us and share your own! You can make free memes here. Remember to keep it kind, fun, and positive. Our goal is to flood social media with positivity and humor!